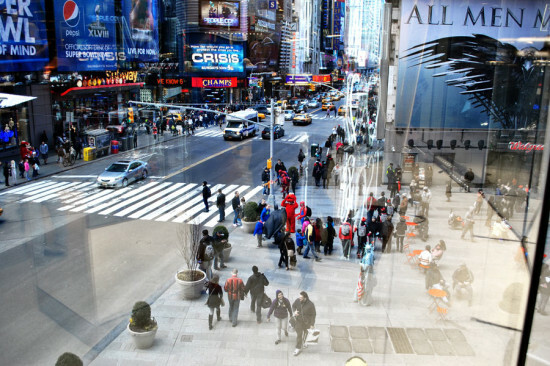 The vision42design competition to rethink and redesign the entire length of New York City's 42nd Street was launched last April by AN and The Institute for Rational Urban Mobility. Entrants in the competition have the opportunity to not only rethink this important street but transform Manhattan at its core and become a model for major urban thoroughfares worldwide. The competition has generated wide interest from architects, urban designers, transportation planners, landscape architects, and other professionals and academic design studios from around the world. The date for submission of digital design materials for the competition is midnight EST on October 1, 2014, but the digital registration deadline is September 8 at midnight. In order to register, go to the competition website and then click "Registration." We will announce a short list of phase one winners on October 6, 2014. Warmed over designer from the early 2000s, Karim Rashid, is back! The man in white is designing three new residential properties in upper Manhattan, “HAP FOUR N.Y.” in West Harlem, "HAP FIVE N.Y." in East Harlem, and “HAP SIX N.Y.” in Inwood. Known for curving forms, extensive use of plastics, and bright colors, Rashid has designed numerous products and interiors, such as the bulbous bottles for Method cleaning products. 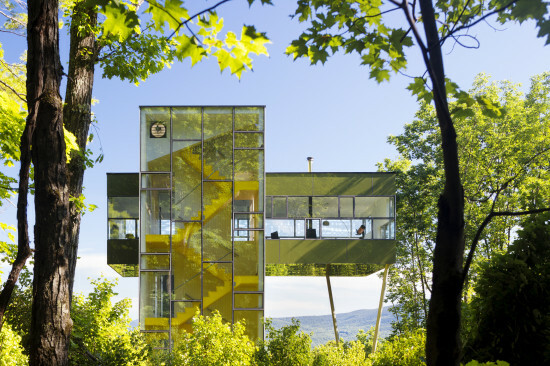 As Rashid steps into the world of architecture, his—let's say, expressive—approach has come under fire. But there's no stopping him now... 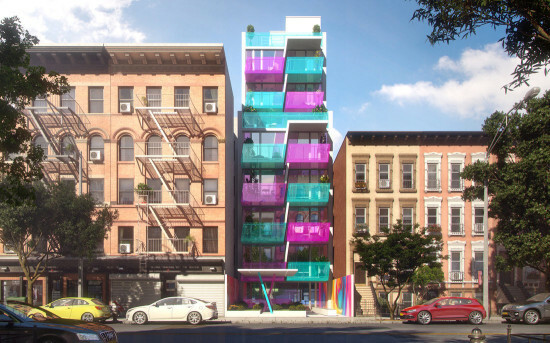 The city recently approved, HAP 5—Rashid's 8-story residential project that has fluorescent turquoise and pink balconies. But here's the thing: in April, HAP Investment Developers, the developer behind the project, told the Daily News that it would circulate a public poll so local residents could weigh-in on the design. But as you may have guessed, that never happened. Now building permits have been issued. 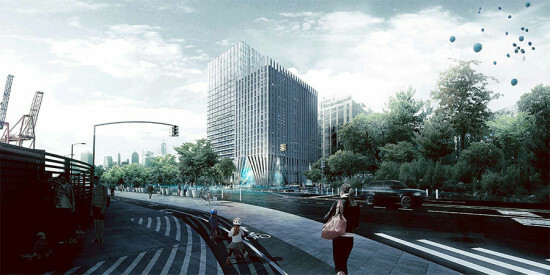 The design could potentially be tweaked, though, as HAP's chief executive told the News that the design is still being finalized. A new public plaza in Sunnyside, Queens proves that creating inviting public space doesn’t require lots of money and a lengthy design process – especially in a crowded city like New York. That’s certainly the case with Bliss Plaza, a recently-opened plaza tucked underneath the tracks of the 7 train. Frankly, there’s not all that much to it – save for a new sidewalk, some planters, and a handful of bright bistro tables and chairs. But here’s what Bliss Plaza does have: People. And that’s the key. 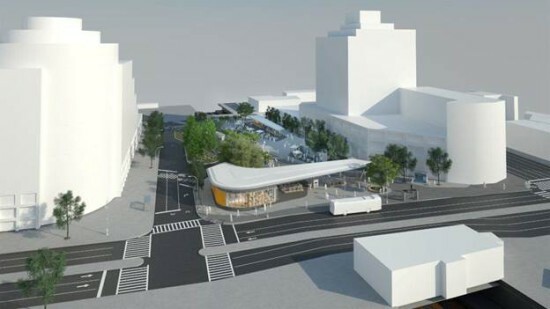 According to Streetsblog, the space was already closed-off to cars, but recently revamped by Sunnyside's Business Improvement District (BID) and the city’s public plaza program. The same approach is being taken for nearby Lowery Plaza, which is expected to open this fall. If both plazas are successful, then there are are plenty of opportunities for the city to keep going. 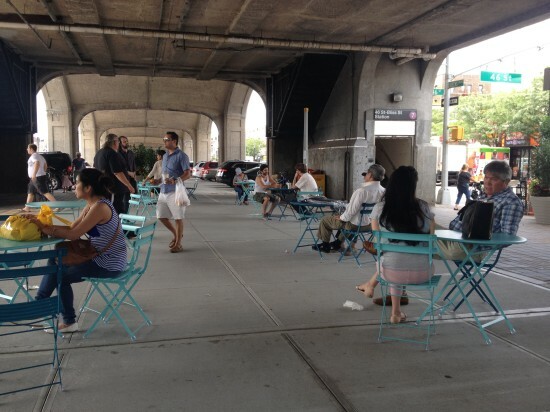 The vacant spaces and parking lots under the Brooklyn Queens Expressway, for example, could be similarly activated with some planters, chairs, and, of course, people. The Regional Plan Association has announced that its president Bob Yaro is retiring and will be succeeded by its executive director Tom Wright. Yaro has been with the association for 25 years and served as its president since 2001. 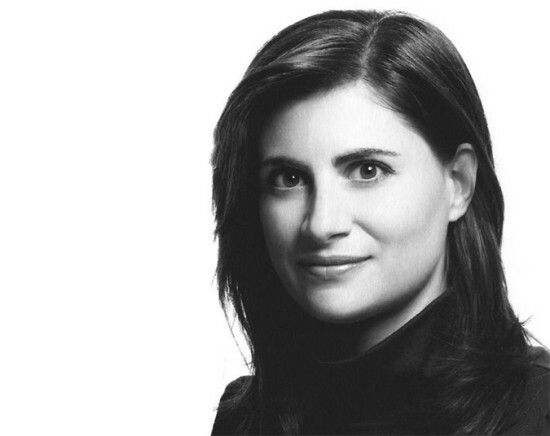 “I have been privileged over the last quarter century to guide RPA and help address some of the New York metropolitan region’s most pressing challenges,” Yaro said in a statement. 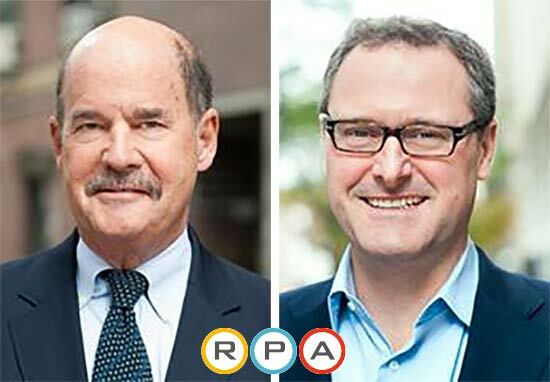 “While I will miss working with the extraordinarily talented researchers and policy experts at RPA on a daily basis, I am thrilled to be leaving the organization in the hands of someone as accomplished and visionary as Tom Wright." 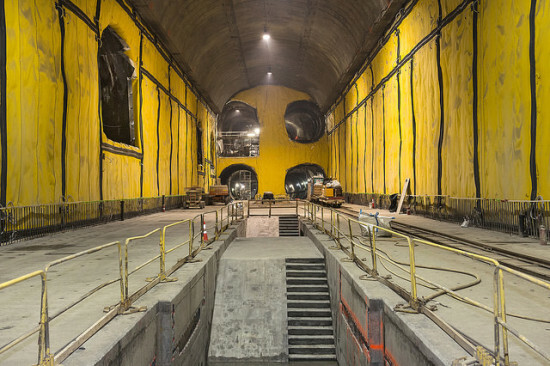 The MTA has released a new batch of images of the under-construction tunnels for its “East Side Access” project. For the uninitiated, East Side Access is the agency's $10.8 billion plan to connect the Long Island Railroad with Grand Central Terminal. The project was initially scheduled to be completed by 2009, but, like so many large infrastructure projects, the East Side Access has been delayed. 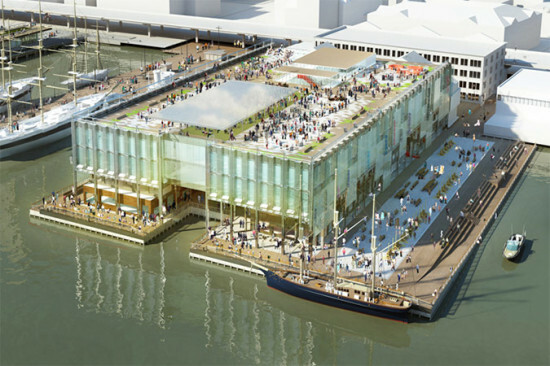 The project is now scheduled to open in 2023. 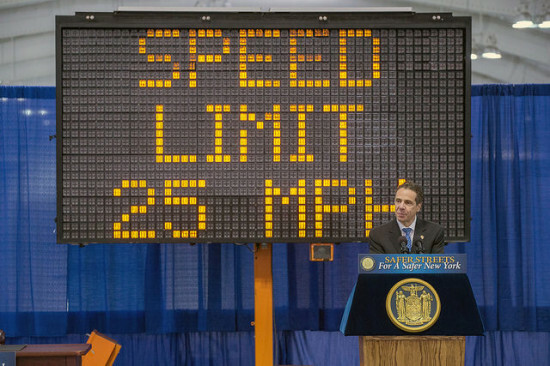 All told, the project is expected to be $6.5 billion over budget. That was where things stood as of January. Just a few months later, though, there was more bad news for East Side Access. Newsday reported that 11 sinkholes were discovered by the MTA as it was digging in Long Island City. The holes, which seem to be caused by heavy rain and loose soil, apparently didn't mess things up too much, however. A spokesperson for the MTA told Newsday that filling the sinkholes did not have a "measurable" impact on the project's budget or timeline. That's the good news. The bad news is that more sinkholes could form. In the meantime, construction is moving forward deep underneath New York City. Check out the MTA's latest photos of the project's Manhattan tunnels taken on July 29th.